Tell us about your role at Mavenlink and how you got here? Since I was young, I’ve had a particular interest in technology and innovation. I knew I wanted to get into tech as I was coming out of undergraduate school and have since spent more than 20 years marketing B2B technologies, mainly software and SaaS. 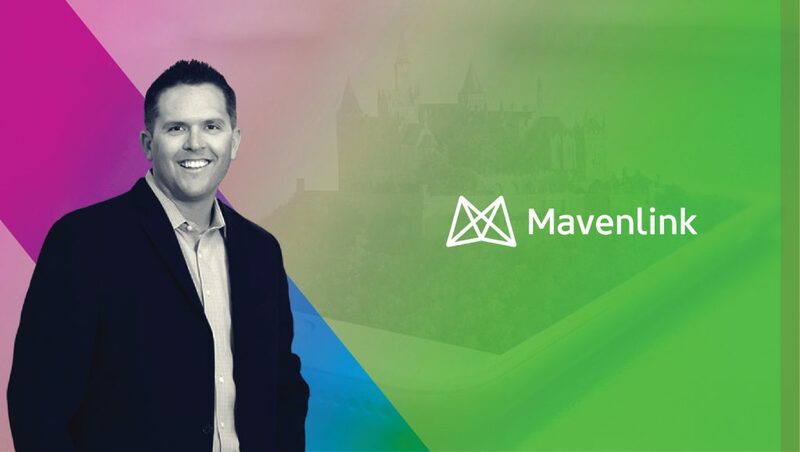 I joined Mavenlink about three years ago, after meeting the founders and learning about a big vision they had to transform the services industry. It really caught my attention because I had witnessed the problems they were looking to solve and could see change taking place in the market that would generate a need. Prior to Mavenlink, I spent several years helping to grow another innovative SaaS company, Velocify. I’ve been fortunate to be a part of a number of early stage tech companies, most notably one that we took public, HireRight. I spent more than a decade there building a team, brand, and a number of growth engines that helped thrust the business from totally off the radar to the top spot in a competitive global market. It was a blessing to be a part of such an exciting journey with one of the most cohesive and talented teams I’ve ever been a part of. I pinch myself today because Mavenlink has a similar dynamic. We’re really excited about what the future holds. Given the changing dynamic of marketing technology landscape, where do you see Online Project Management SaaS fitting into the stack? Online project management software, as a category, is drawing a lot of attention as it’s projected to grow rapidly for years to come. Mavenlink is definitely a part of that movement with the collaborative, digital environment we provide. Yet, we offer some other key capabilities for services organizations that make us much more than an online project management SaaS provider. We include all the capabilities that a services firm needs to facilitate their business lifecycle — from estimating and planning resources for what’s in the pipeline, to planning and delivering projects, to collaborating with distributed teams, subcontractors, and clients, to managing project financials, to analyzing and optimizing for the next time. These additional capabilities change where we fit in the tech stack, relative to a basic online project management application. Mavenlink sits at the core of the tech tack in a services business or organization, serving as the operational system of record for the firm. In a services environment, more users will spend more of their time in Mavenlink than any other system in the stack. By bridging core resource planning, project management, collaboration, project accounting, and business intelligence systems in a single operating environment, organizations are able to experience dramatically better operational execution, business agility, and financial performance. We are laser-focused on the core professional services industries we serve including consulting, IT services, agencies, and a number of others. From there we have several different personas that we reach with different messages. Due to the transformative nature of Mavenlink, typically the buyer is going to be a senior leader. What data points do you work on to optimize Mavenlink’s products? We help the businesses we serve operate more effectively, efficiently, collaboratively, and profitably. Accordingly, we track a variety of adoption, usage, performance, and customer satisfaction metrics, as well as collect regular feedback to make sure that we are hitting the mark. Ultimately, we’re striving to provide a remarkable experience. How is the global market for Work Management software shaping up with the greater maturity of DMPs and AI-driven analytics? With the proliferation of SaaS, more acute problems are being solved by more acute solutions that are often focused on the specific needs of a team, program, process, segment or vertical. Yet, there’s also a convergence taking place today in managing data, giving AI an opportunity to go to work and enable businesses to make better, faster decisions within the SaaS product itself. For example, at Mavenlink we bring all of the data that a services business would need to effectively manage their operation and make critical business decisions into a core system, coupling the power of data management with BI. With the data centralized it gives us the opportunity to apply machine learning and data visualization to drive innovation and value for our users within their natural flow of work. What makes Mavenlink different from other Project Management software providers? Mavenlink is the only solution that helps services firms establish an operational system of record that facilitates their business lifecycle, including key capabilities like resource management, project management, team collaboration, project accounting, and BI. All of this leads to more agility in a business, improved operational execution, better client experiences, and elevated financial performance. How do you see the recent changes in data privacy laws (GDPR) impacting personalized customer experiences in your business? GDPR is a major piece of legislation that requires most global businesses to change how they manage customer data, and we’re adjusting our practices and policies accordingly. We want to be very transparent and help educate customers on the matter. Since we’re talking to a marketing crowd, I’ll share some innovative marketing tech that we get excited about. These aren’t necessarily startups or the newest, most popular names, but all are emerging businesses that offer products with real value: GrowthHackers, Optimizely, Influitive, Drift. We’re a B2B company that performs the bulk of our selling through direct selling methods. To facilitate the regular sales and marketing motions of the business, the most important systems we have in place are our CRM (Salesforce) and marketing automation (Hubspot) apps. We also have a nice ensemble of ancillary tech that’s very important, helping us to execute well and optimize over time. These apps are generally in the categories of lead management, data enrichment, testing, monitoring, sales acceleration, advocacy, and analytics. Of course, collaborative project management, and workstream collaboration tools are a must. One thing that is unique about a high-growth company like Mavenlink is that we are constantly evolving our processes to support the next wave of growth. What worked yesterday may not be enough for tomorrow. This means we have to look to the future and find tools to help us scale. It’s important to take the time to think of the kind of business we’ll be 2-3 years out when making technology selections. Could you tell us about a standout digital campaign at Mavenlink? We’ve spent a lot of time thinking through the challenges services businesses face, talking to business leaders, surveying them, and picking their brains. One thing we quickly realized in examining the information and education available online to help them cope with today’s challenges, was that there really wasn’t a source or much information available for these types of businesses. A recent campaign we ran to fill a gap of information we recognized did quite well as a result. Our learning was that when you can connect thoughtful content with an information need that’s not currently being met, you may have a winner. The specific campaign I’m referencing was launched in November 2017 and featured a new eBook we published. The promise of AI is so exciting to think about. As a leader, I think the best thing you can do is stay current on the topic, innovative application of the technology, and the solutions available to you. Also, when you have the opportunity, consider how it may be able to help your team, business, or customers better execute, save time, and succeed. Technology is at the core of what Mavenlink does, so working with it is part of our DNA. We’re always looking for ways to harness new technology to do things better, faster, or more efficiently. Technology innovation is part of our culture, so most people here are naturally inspired to work with technology. I’m not sure how much it helps, but I like to remind my people that they only limits we have are the ones we place on ourselves. Some of my go-tos include Mavenlink, G Suite, and Slack. I would say contextualized collaboration. When you’re moving so fast and working on so many different things at once, a central workspace where all of your files, tasks and discussions are contained in one place is vital. The most recent book I read is “The Advantage” by Patrick Lencioni. If you like getting under the practices and conditions that help businesses and teams succeed, I highly recommend this one. On a day-to-day basis, most of what I read comes through RSS feeds, like Feedly, or comes by recommendation from a friend or colleague. “Be yourself.” I know, it sounds like advice we all received as children. I didn’t realize the impact it would have on me as an adult, when I first became a manager of people. It came from a leader that I greatly respected. I think he saw the immense pressure I was putting on myself to try to be a perfect manager and leader out of the gate. With his help, it didn’t take long to realize that perfect wasn’t attainable. I’ve learned to instead lean on my strengths, focus on what my team and firm need to succeed, and exhibit humility regularly. This approach has worked out much better for me. I’m positive there’s someone better than me at just about everything. When I think about what’s been instrumental to my own personal career success I think it comes down to one main thing. And I share this insight with my own team members and often with people early in their career who come to me asking for advice. Here it is: Whatever you do, whatever role you’re in, understand the measures of success, and then (without burning any bridges) work hard to do it better and beyond what anyone’s expectations would be on those measures. In doing so, you’ll stand out as a high-performer and someone that’s highly sought after. Many doors will open. Rob Pickell, CMO at Kareo. Thank you John! That was fun and hope to see you back on MarTech Series soon. John Reese has spent close to 20 years marketing B2B technology and SaaS businesses, ranging from Fortune 500 to early-stage companies. John brings this expertise to his role as Senior Vice President of Marketing, where he oversees Mavenlink’s marketing and growth strategies. 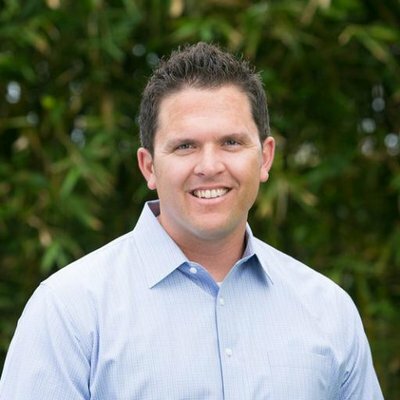 Prior to Mavenlink, John led marketing and sales development at Velocify, a fast-growing leader in the B2B sales technology industry, helping the company reposition and grow exponentially over his tenure. John also spent 10 years building and leading the global marketing efforts of HireRight, helping take the company from start-up to successful IPO and $300 million plus market leader with a reputation of being one of the most-admired providers in the human resources technology space. Earlier in his career, John held product marketing, marketing communications, public relations, digital, and demand generation roles at software start-ups Versada Networks and Access360 (acquired by IBM), and public technology companies Rainbow Technologies, Inc. (acquired by Safenet) and MicroAge, Inc. John holds an M.B.A. from Pepperdine University and a B.S. in Business (emphasis in Marketing) with honors from Arizona State University. Mavenlink is a modern software platform for professional and marketing services organizations. It is the only solution that helps services firms establish an operational system of record that facilitates their business lifecycle, including key capabilities like resource management, project management, collaboration, project accounting, and BI. Services organizations in more than 100 countries are improving operational execution, increasing agility, and driving improved financial performance with Mavenlink. Mavenlink was recently named one of of fastest growing companies in North America by Deloitte, is the only solution to be listed as a Leader in both G2 Crowd’s Best Professional Services Automation and Best Project Management Software grids, and was recently named A Cool Vendor by Gartner, the world’s leading technology research and advisory firm.